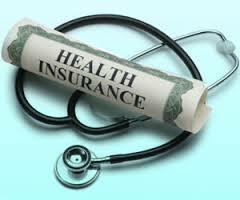 Nearly six in 10 (57 percent) of those with Exchange coverage were uninsured before they bought their current plan. Most had been without insurance for two years or more. Seven in 10 of those who were uninsured prior to purchasing a Marketplace plan say they decided to buy insurance because of the law, while just over a quarter say they would have gotten it anyway. Among those who previously bought non-group insurance and switched to a new, ACA-compliant plan, nearly half (46 percent) say their current premium – taking into account government subsidies – is lower than it was under their previous plan, while four in 10 (39 percent) say it is higher, with similar coverage. There is, however, some evidence of a trend toward plans with narrower provider networks. About half of plan switchers (13% of all people in non-group plans) said their previous plans had been cancelled. They are, not surprisingly, the ones most likely to feel negatively impacted by the law. Overall (as the figure below shows), people were nearly as satisfied with their non-group plans as people with employer-provided health insurance and that, the authors wrote, is likely due to the fact that employers generally pay a greater share of the premium. Listen, I don’t care what you think about the ACA and healthcare reform, whether you like it, hate it, whatever. All I ask is that you back up your opinion with facts, not anecdotes. And that you understand that the law obviously has flaws, and that it is impossible not to negatively impact some percentage of the 350 million of us. The ACA is a first step towards reforming a broken health system. It is certainly not the cure. But if we don’t start somewhere, where will we be in 10 years? The fact is that 8.1 million people signed up for health insurance on the Exchanges, and that, as the Kaiser survey found, the vast majority of them are satisfied with the cost and coverage. You can read my thoughts on the issue of narrower networks here.